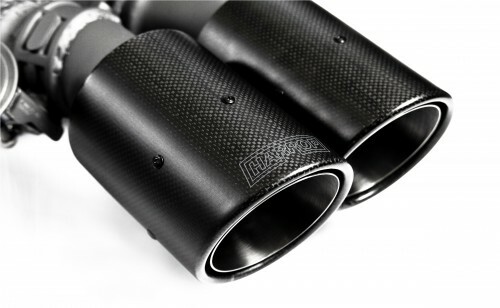 The Harrop Carbon Series exhaust is the perfect way to make your Commodore sound as good as it looks. 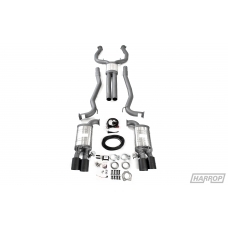 These systems will give your vehicle a deep throaty growl which will get the heart pumping, couple that with the unique Harrop carbon fibre tips and the Carbon Series system will ensure that you will stand apart from the crowd. Our systems will complement your vehicle whether it be standard, upgraded with a Harrop camshaft or fitted with one of our Harrop supercharger kits; We have a range to suit every application. 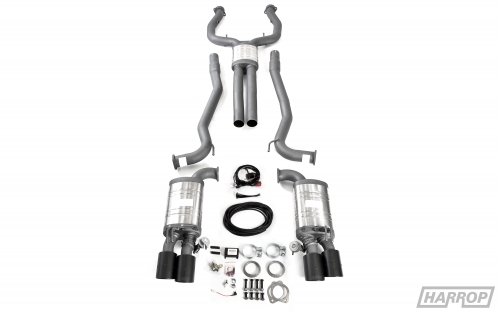 Our new Carbons Series exhaust systems are designed and manufactured locally and constructed using 409 stainless steel to ensure that they last the distance. The location and style of the inlet is the same as the standard Holden system, the centre joint is a slip type with V band type joints for the rear muffler sections to help ensure precise fitment. This system is specific to Utility vehicles and does not fit sedan.